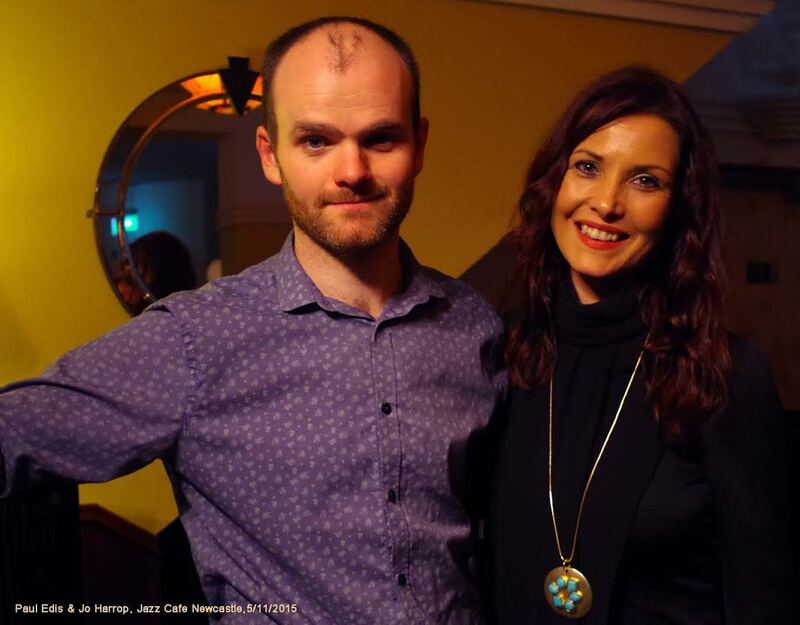 Eagerly anticipated, a fourth engagement in three days in the region, Jo Harrop arrived at the Jazz Café in good time despite a late-running train. Pianist Paul Edis arrived on foot, walking to work, as it were. A lunchtime appearance at the Gala Theatre had drawn a full house, this Newcastle date promised to be the perfect conclusion to Harrop’s flying visit. This Can’t Be Love, Love Me or Leave Me, East of the Sun, Harrop began in fine style. A Friday night crowd can be less than attentive but not on this occasion. Vocalist Jo Harrop held the audience in the palm of her hand from the first note, a sign that we were listening to something special. 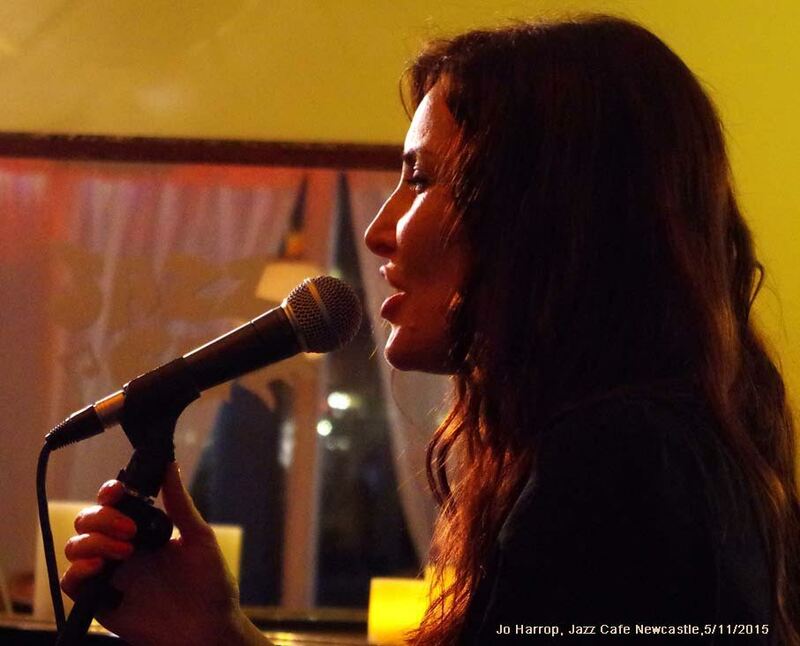 Paul Edis’ frequent Jazz Café appearances invariably elicit a similar response from patrons. A wonderful Autumn in New York, a snap-of-the-fingers take on a familiar number – Bye Bye Blackbird – featured a playful Edis at his best, and It’s Alright with Me made your reviewer’s notebook. All were excellent – it was one of those nights. 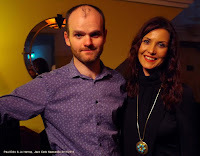 Billie Holiday numbers (a fabulous I’m a Fool to Want You), Anita O’Day referenced – it was one of those nights! Harrop sang I’ve Got the World on a String (starting here in the Jazz Café, tomorrow the world!). An interval chat with a Lincolnshire couple who have only recently moved to the north east (one of them a musician) indicated they were more than impressed. They’ll be back. I Can’t Give You Anything But Love (Edis’ left hand pattern), Sophisticated Lady (she is) and a requested Summertime. The latter could/should be on the ‘oh, not again’ banned list of tunes. Well, anytime Ms Harrop chooses to sing it is absolutely fine. One word went in to the notebook…Wow! Some Nina Simone and Billy Taylor’s I Wish I Knew…the Jazz Café’s regulars were being spoiled rotten, the new faces couldn’t believe the quality. You Must Believe in Spring concluded the set. This was another ***** star evening at the Jazz Café.